Can you believe that the back to school season is already upon us?! 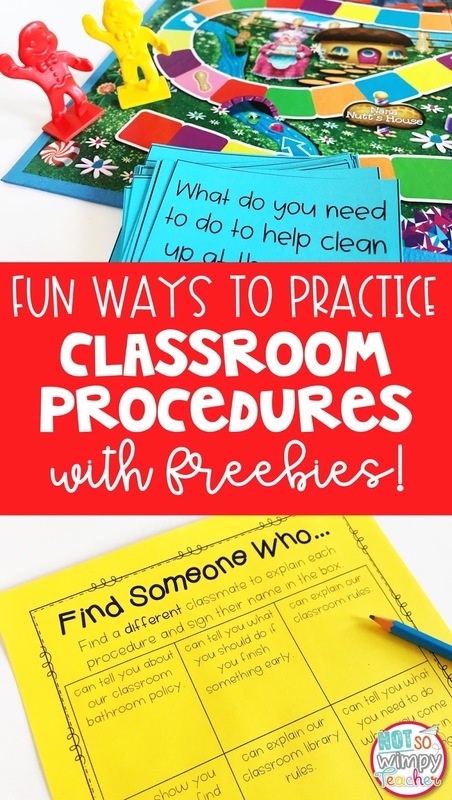 While you are decorating your classroom and printing math centers, I think it is very important that you take some time and think about how you will go about teaching and practicing classroom procedures. The number one thing you can do to guarantee a successful school year is to spend LOTS of time teaching classroom procedures. But, that can get super boring! You wanna laugh? It was my first year of teaching and I had absolutely no clue what I was doing. NONE! I wrote all every single classroom procedure into a handbook for my third graders. It was five pages, 12-point font, front and back. We spent the first couple of days reading and discussing the handbook. Students were falling asleep. It was awful! I owe those sweet kiddos a huge apology. Let be share some fun activities and freebies that will making teaching procedures much more engaging! This might sound crazy to you, but a fun way to practice those procedures is to have students model what NOT to do! After you have explained a procedure, choose a student who you suspect may have challenges the procedure. Ask the student to show the class how NOT to do the procedure you have just taught. “Johnny, show the class how NOT to get books from the classroom. Make sure you do everything you SHOULDN’T do.” Johnny will love this. He will be getting attention that he probably wants. The class will love this because it is downright funny. Let them laugh. It will encourage Johnny. Now, tell Johnny to show the class how to do the activity perfectly. He will now model it correctly. When he is finished, make a list (or discuss) the things he did correctly. Johnny is proud. And now he has no excuse to not follow the rules. You can choose to repeat this activity with multiple students, but no need for every student to do it. I suggest looking for those kiddos who you suspect may have the most difficulty following the rules. 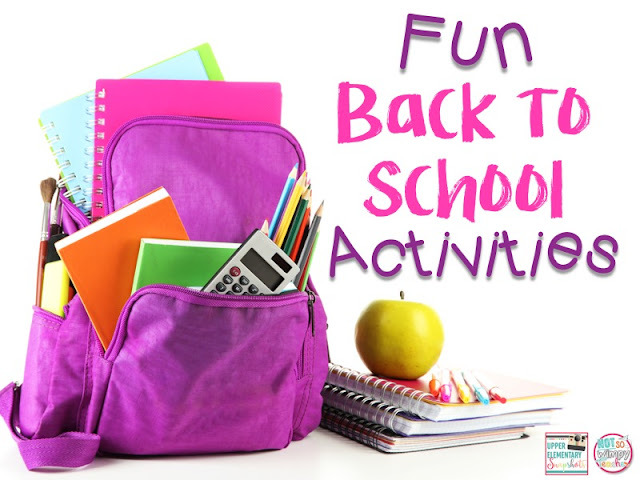 The activity can be repeated with other procedures during the first couple of weeks of school! I do have to do a little explaining. But, once they have been told the procedures, it is time for them to do the teaching. Split the class into small groups (2-4 students per group). Assign each group a different procedure (that you already covered). Students should work together to create a poster or PowerPoint to reteach the procedure to the class. Students are working in groups and practicing teamwork. This helps to build a positive classroom culture. Students are being creative and that will help them to remember the procedures. We remember things that we teach! You are able to get a glimpse into their speaking, listening and group work skills. This is handy information to have as you start planning future lessons. You get a little break to sip your cold coffee. I like to have my students play procedure board games because it’s the perfect way to have fun while reviewing the classroom rules. PLUS, they are practicing how to play games in our classroom! We will play games throughout the year and it is important they practice getting materials out, using materials properly, playing fair, and having good sportsmanship. Students will take turns answering a procedure question from the cards. If they are correct, they will take their normal turn in the game. If they are not correct, their turn is skipped. For example, if we are using Candyland, and the student gets the question correct, they will pick a Candyland card and move their game piece to the correct color on the board. Students love it and it’s a great way for them to make new friends too! This is such a simple activity and I love it because it gets students out of their desks and talking to each other. Each student needs a Find Someone Who board. They will walk around the room and find someone who can explain the classroom procedures listed on the board. When they find someone who can accurately explain the procedure, the person will write their name in the box. The catch is that you have to find a different person for each box! They have to talk to lots of different people in the class. Yes! Yes, I can! And I did! I made you a checklist of procedures to teach, game cards and a Find Someone Who board! And it is all free! Use this sign up form and I will send all of those things to you right away. Using your personal email address and adding my address (Jamie@notsowimpyteacher.com) to your contacts, will help to ensure that you receive the file. If you don’t get the file today, check your junk mail.